Well, I don’t have pumpkin pie, but he’ll be happy tonight when he I surprise him with this quick batch of pumpkin pie pudding. 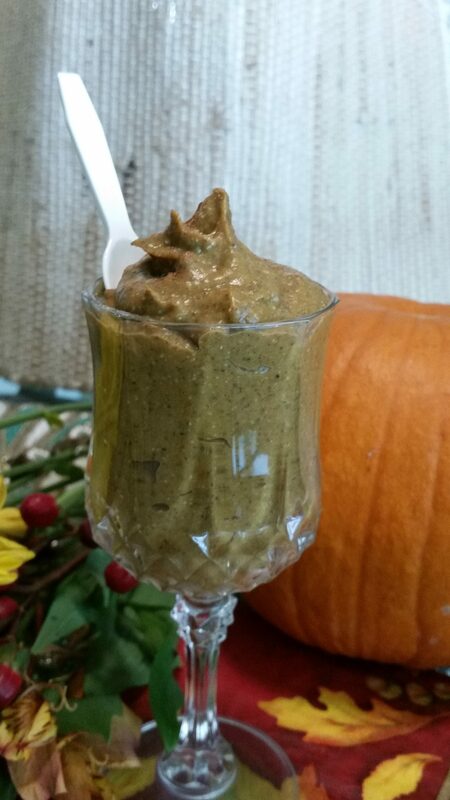 Simple and easy – it’s Chef AJ’s Pumpkin Pie Pudding. Give it a try for a quick, healthy dessert! Place all ingredients in blender except for chia seeds and blend until smooth. Add seeds and blend again, adding more milk if necessary to achieve a vortex. Pour into bowl, cover with Saran wrap, chill several hours or overnight. Dust with cinnamon before serving.